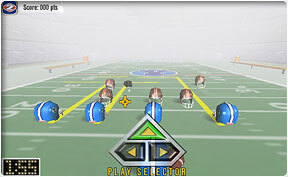 Madden NFL Football is the undisputed leader in authentic NFL computer football simulation. Play online over the Internet (2 Player). You're the Quarterback: select your power, and distance carefully to complete the pass. You can fake a pass - allowing your receivers to get open. 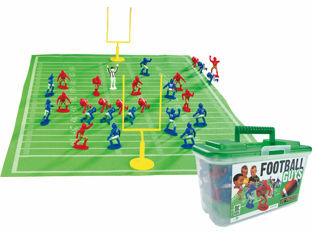 Miniature football playset, includes 26 two inches players, 1 referee, 2 goalposts, and 1 field. 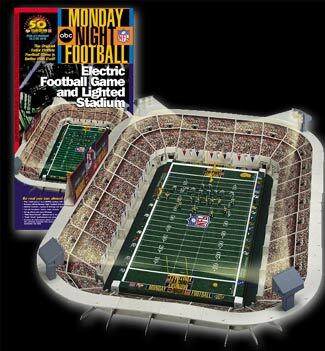 Play real football on this miniature electric football field and players. You control the players, making them run the direction you want. Triple threat quarterback can kick, pass & run. Ready, aim, bang the head, and kick it! The ultimate field goal kicking football game with attitude. 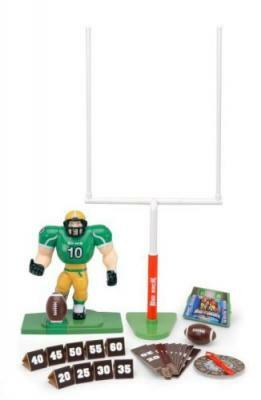 Includes 7" goal post, two footballs, game dial, sideline markers and figure. Kick over 20'. Football Play Designer offers the most affordable and easy way to design, animate, print and share football plays and create football playbooks. Practice your quarterback pass with this football target online training zone. John Madden virtual Monday Night Football. Just plug the step pad into your TV you're ready to play, pass, punt and score! 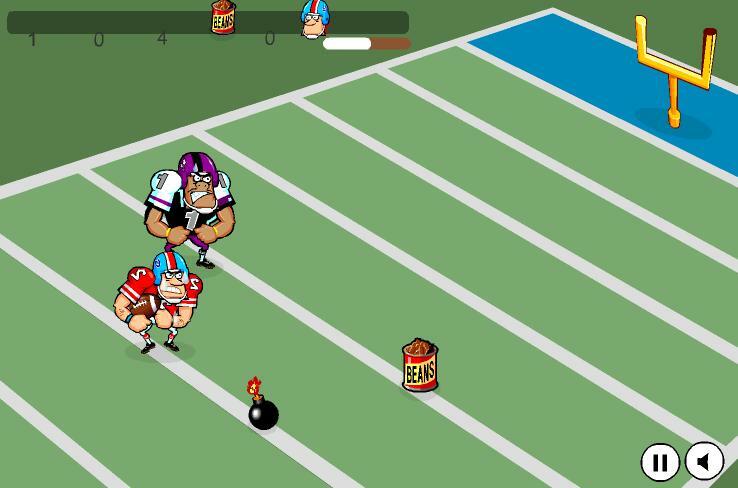 Perform Football tackles, move, jump and get as many beans before you are done. 7 on 7 flag football online. Pick your offensive plan. Flag football plays game. Night time is the right time for family fun with our Light Up Football. It's the two-minute warning, you've got the ball, and all you have to do is put it in the end zone. Touchdown Madness takes all the thrills of the last few minutes of a football game and put it into a uniquely exciting experience. 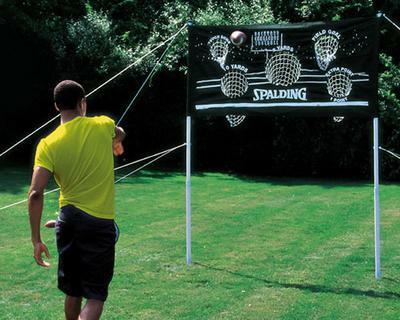 Make your backyard the most fun on the block with the 7-foot high football toss! 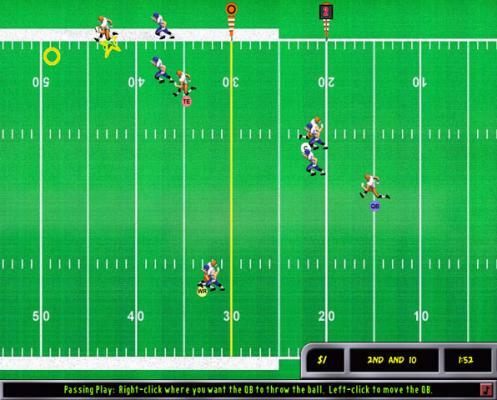 Football Shockwave online games. 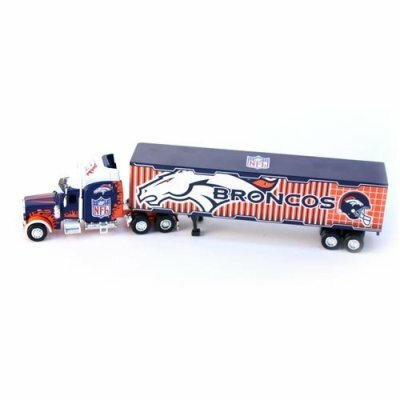 Two minutes left - can you win the big game? Yahoo Fantasy Football Play Multiplayer Online Fantasy Football. Manage and Choose your Dream Team! 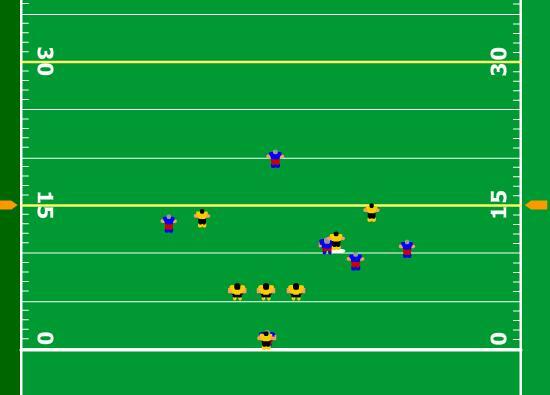 Roman Bowl Pass, Kick and Run in this Roman Football Game! 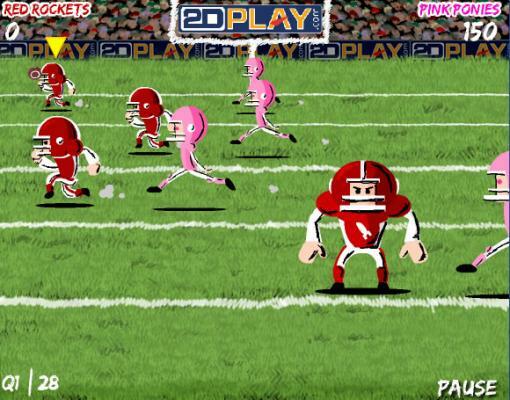 » Freaky Football Tackles Football tackles online games. Get as many beans before it ends. 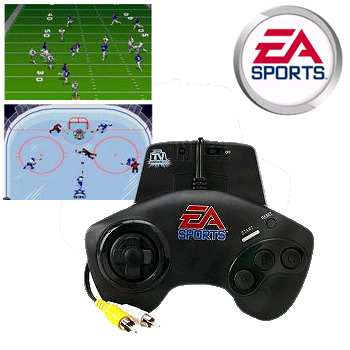 » Electric Football Play online Coca Cola Electric football games. » EA Madden Play Ultimate Football online NFL games. Complete as many passes as you can and don't get intercepted. 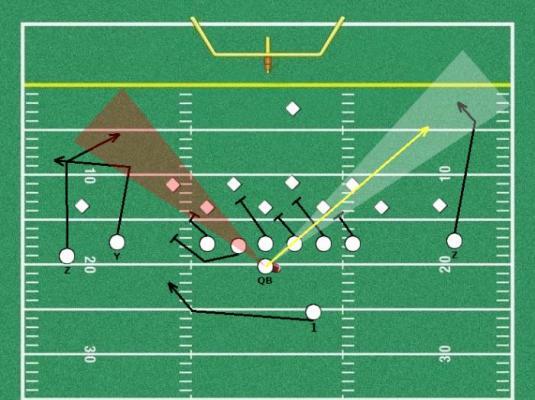 » Quarterback KO Quarterback on line pass training football game. » Nabisco QB Shootout Play ESPN Electric QuaterBack football games. » Flag Football Flag football plays game. Select your offensive play and execute! » College Fiki Football Play Paper Football games. Get those fingers limber. Press Space to start.